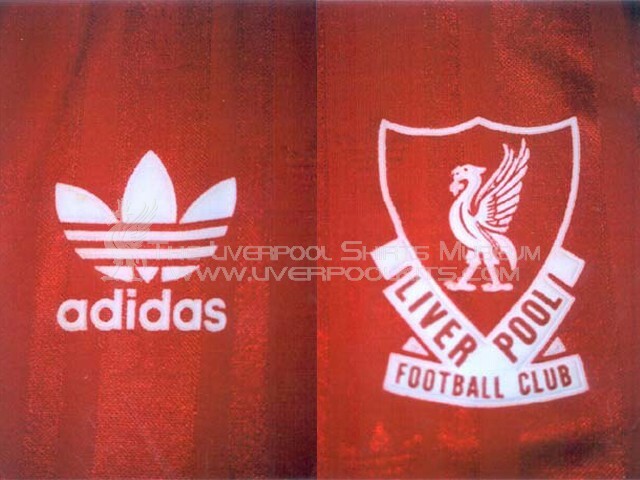 This shirt has exactly the same style as the 1987-1988 home shirt. The only change was the sponsorship from Crownpaints to Candy in 1988-1989. 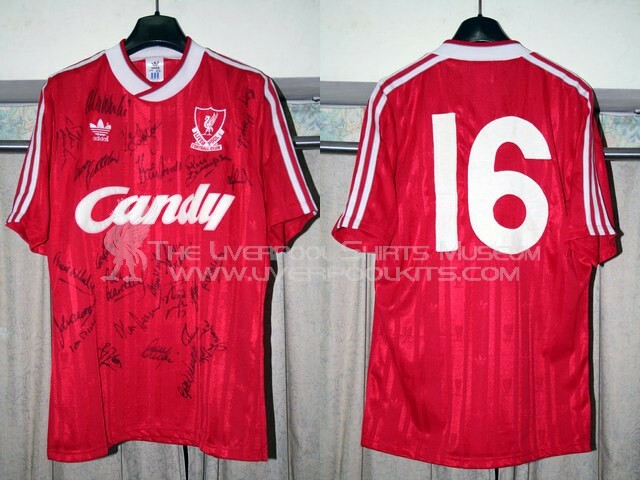 Once again as this shirt was only worn in a single season, it's considered as a rather rare player shirt. 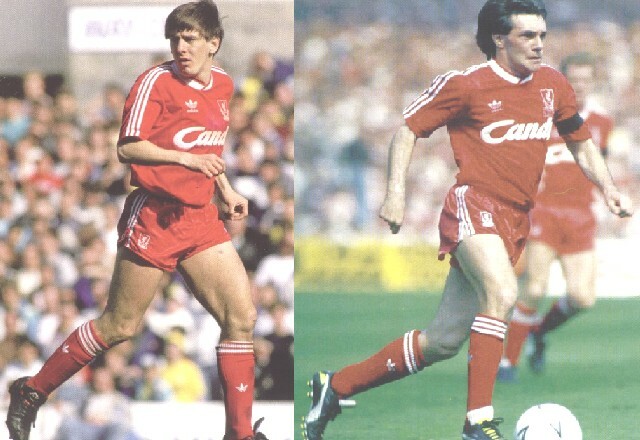 Featured Peter Beardsley and Ray Hougton wearing the 1988-1989 red home shirt with Candy sponsor. 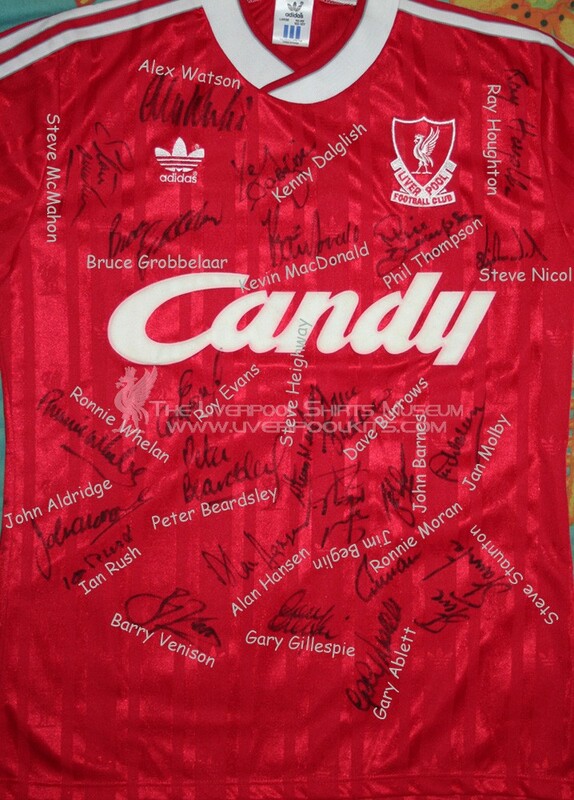 Liverpool 1988-1989 Home Player Shirt - Number 16 belongs to a bench substitute number. 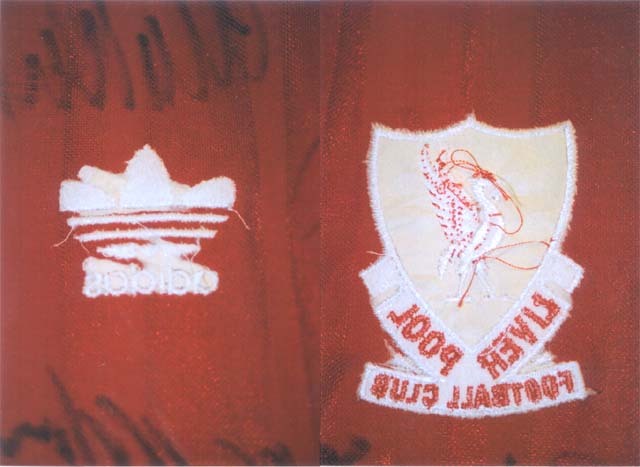 HOWEVER, one very interesting point to note is that - I can hardly locate any match pictures with players wearing shirts with embroidered club crest and Liverbird! Players strangely wearing replicas-specification shirts in that season - apart from the FA Cup Final 1989. 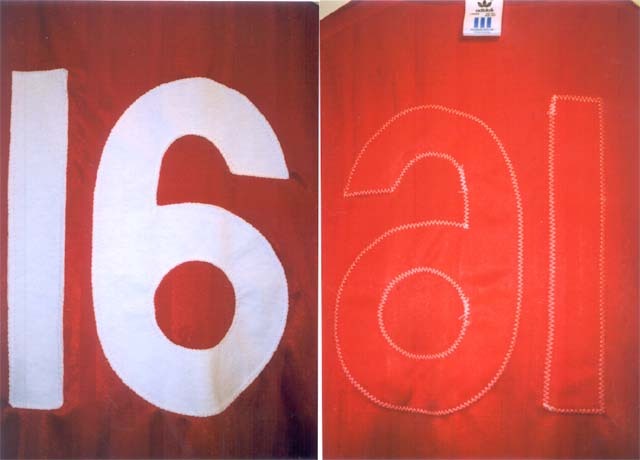 Typical machine sewn-on cloth type numbers are found on this player shirt. This is another piece of history!! 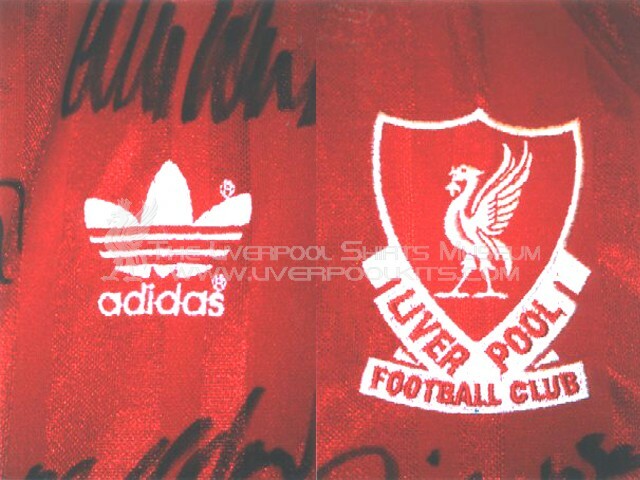 The shirt is autographed by the double winners squad from the 1989season. See how many autographs you can identify.